The world premiere of Cinemagic’s new feature film ‘Grace and Goliath’ is set to take place on Tuesday, October 2nd, 2018 at Odyssey Cinemas, Belfast. 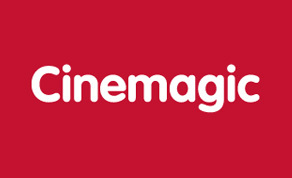 The premiere will mark the official launch of this year’s Cinemagic Film Festival in Belfast (October/November 2018), the largest film and television festival designed for, and by, young people in the UK and Ireland. ‘Grace and Goliath’ is a family feel-good movie that follows Hollywood big shot, Josh Jenkins, as he sweeps into Belfast to make a movie, but before long his world crashes and he loses everything. Lily (the hotel cleaner) invites him to stay with her crazy family and gradually the people of this ‘strange’ city touch his heart, forever. It’s a powerful story of how one man’s Goliath ego is brought down by one single blow...of Grace! With a great home grown cast and cameos from Ciarán Hinds, Suranne Jones, Sally Lindsay and Bronagh Waugh, Cinemagic has high hopes for ‘Grace and Goliath’ becoming the family film of the year. Canadian actor Emy Aneke (Supergirl) plays the role of the Californian A-list star, Josh Jenkin, who is stranded and penniless in Belfast after a movie goes wrong. His giant ego is challenged by a host of characters, including a little girl called Grace (Savanna Burney Keatings); her father Marcus (Ciarán McMenamin), mother Mel (Aoibhinn McGinnity) and grandmother Lily (Olivia Nash MBE). Cameo appearances include Carl Frampton, Patrick Kielty, Darren Clarke, Roma Downey, Tommy Bowe, Pamela Ballantine, Pete Snodden, Rebecca McKinney, Marc Mallett, Laura Whitmore and Linzi Lima. Hundreds of extras from across Northern Ireland were also involved in the making of the film. The film’s main locations were Belfast (inc. The Europa Hotel, National Football Stadium at Windsor Park and Victoria Square) and the north coast of Northern Ireland (inc. Golf Links Hotel and Holiday Homes, Barry's Amusements and The Harbour Bar, Portrush). During the production of ‘Grace and Goliath’, 50 aspiring filmmakers aged from 17 to 25, from Northern Ireland, Republic of Ireland and Los Angeles were given the chance to take part in a six-week training programme under the guidance of British/Canadian director Tony Mitchell (‘The Bible’, ‘AD The Bible Continues’, ‘Primeval’, ‘Supervolcano’ and ‘Flood’), producer and Cinemagic chief executive Joan Burney Keatings MBE, and ‘Grace and Goliath’ screenwriter Maire Campbell. The aspiring young filmmakers got practical experience in a range of disciplines from directing and production right through to costume, make-up, sound, lighting and music composition. Significantly, as a result of their input, they also gained their first ever credit on a feature film. “In addition to the film’s redemptive storyline I felt the time was right to show a modern, progressive Belfast and breakaway from its historical ‘troubled’ past. As a ‘blow-in’ I see it differently and wanted to use that to focus on its beauty and less on its division. Secondly, here was a film from Northern Ireland with a mixed-race lead actor and several very strong female roles – it was our turn to embrace change. ‘Grace and Goliath’ will open in cinemas from Friday, October 5th, 2018.